100% natural tart Montmorency cherry concentrate. No added sugar, sweeteners, preservatives, flavourings or colourings. A 30ml serving is the antioxidant equivalent of 23 fruit & vegetables. Part of the Informed Sport programme. NEW easy to open 30ml single serving shot pack. 12 x Single Shotpacks of CherryActive® Tart Cherry juice. 100% Montmorency sour Cherry juice with no added preservatives. Make 1 serving by adding 30ml of the pure sour cherry juice to a recommended 250ml of water. Single Shot pack of CherryActive® Sour Cherry juice. 100% Montmorency Tart Cherry juice with no added preservatives. Make 1 serving by adding 30ml of the pure tart cherry juice to a recommended 250ml of water. 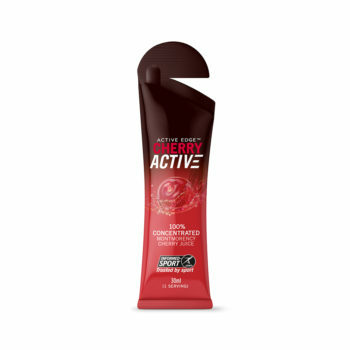 CherryActive® concentrate in an easy to open 30ml single serving pack. Ideal for when you’re on the go, air travel (can be taken on aircraft) or for post-sport recovery. 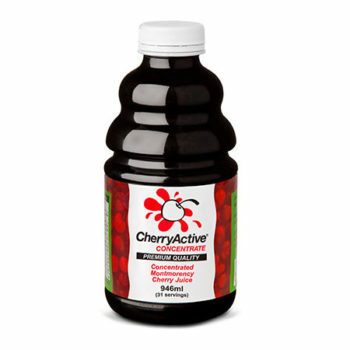 CherryActive® is a 100% natural, premium quality Montmorency tart cherry concentrate. Each 30ml serving is made from the concentrated juice of approximately 100 Montmorency sour cherries and contains no sweeteners, preservatives, flavourings or added sugar. 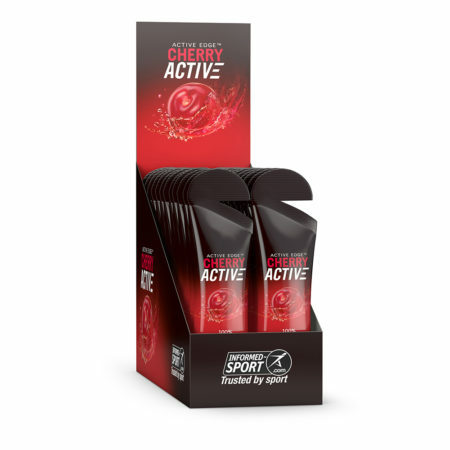 Our products are chosen by consumers serious about maintaining good health and optimising their fitness training, and CherryActive® concentrate 30ml packs are now part of the Informed Sport programme. Informed-Sport is a quality assurance programme for sports nutrition products, suppliers to the sports nutrition industry and supplement manufacturing facilities. The programme certifies that all nutritional supplements and ingredients that bear the Informed-Sport logo have been tested for any banned substances by LGC Sport Science, a world class sports anti-doping laboratory. 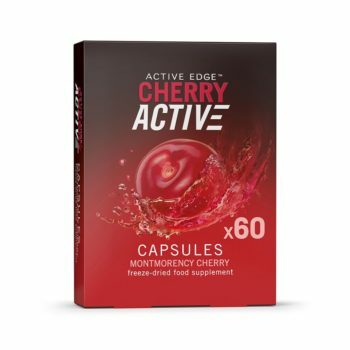 CherryActive® 30ml shot packs are now tested within the framework of the World Anti-Doping Agency (WADA), this enable athletes to choose a supplement that is prepared to the highest quality control standards. Our 30ml shot packs now offer 100% peace of mind for athletes looking to use premium quality sports nutrition products to boost their performance. 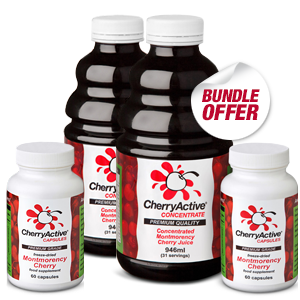 If you’re not an athlete and use CherryActive® as part of a healthy lifestyle, nothing has changed all this means is that you are using a premium quality product that is tested to the highest standards. Enter your email below to receive exclusive deals and offers!